We at Babyology absolutely love hunting down the best finds for your little ones. But what about us mums? As much fun as it is to buy teeny tiny baby shoes and adorably soft baby wraps, it’s still just as exciting picking up something for ourselves, especially if it enhances the way we look and feel. This is why we want to introduce you to our five favourite beauty buys. We’ll show you a new fave five every now and then, things that make the perfect addition to your make-up purse or nappy bag and won’t break the bank. Why? Because as mums, we’re all so busy looking after everyone else that we often forget how good it feels to pamper ourselves just a tiny bit. 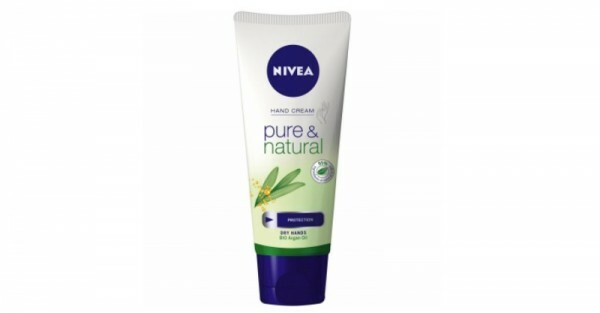 Our first beauty buy is NIVEA Pure & Natural Hand Cream. Think of how many times a day you wash your hands. Nappy changes, preparing meals for little ones, more nappy changes. We all need a good hand cream in our lives and this one fits the bill. It will keep those mummy mitts soft and protected all day long and is the perfect size to keep on your bedside table or in your bag. It’s also nice that 95 per cent of the ingredients are completely natural including BIO Argan Oil. With the cooler weather quickly approaching, skin and lips are going to get a little dry. And Lanolips are the perfect way to keep your pout happy. And your baby too, because no baby wants to be kissed with dry, chapped lips. And for sure, kissing babies figures a lot in your daily life when you’re a mamma. Lanolips 101 Ointment Multi Purpose Superbalm is designed for extremely dry lips, skin patches, cuticles and more. 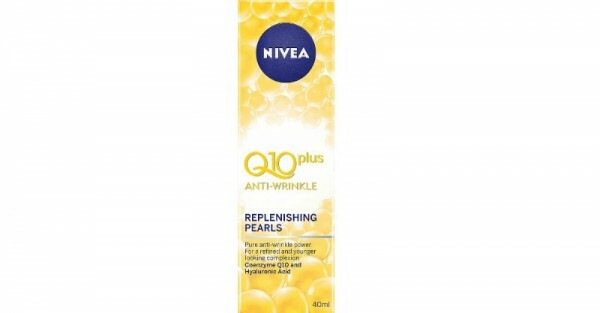 Another beauty product that we have recently discovered is NIVEA Q10 Plus Anti-Wrinkle Replenishing Pearls. I remember going through my mum’s make-up bag as a child and trying on her wrinkle cream, only to be told, “You won’t need that for a long time, darling”. Well, Mum. The time has come. And these Replenishing Pearls are awesome! Not only because they promise to reduce the wrinkles you already have, but because NIVEA assures these pearls’ll delays the onset of new ones. To add a little bit of lush to your lips, we love Max Factor’s latest long lasting lipstick – Lipfinity. Lipfinity comes in seven shades for a splash of bold colour and is enriched with shea butter, squalane and acetlyated lanolin for all day moisture. Because who has time to keep reapplying the lippy all day?! Not us – we’re busy mums – and now we won’t have to. Pick your own fave Lipfinity colour up at Priceline, Target, Big W and Myer. Add a little bit of luxury to your bedtime routine with our last beauty find – Bodyshop’s Quiet Night Dreamy Pillow and Body Mist ($23.95). Simply spray the mist directly onto your pillow and sheets for a calming night’s sleep.